This month I’ve had a spate of enquiries about faulty Buffalo hard drives. IMO any hard drive that produces ticking or buzzing sounds should be sent to a data recovery company. Don’t try and fix it yourself ! My hard drive produces a clicking/ticking noise when turned on. This happens no matter how many times I reset it. It’s a Buffalo branded external hard drive. My daughter is taking A-Level exams and has kept her work on a USB stick. She has plugged it into her Mac tonight and the system is saying that there is an error. (She did not back her work up! aggghh). We have tried various fixes but none seem to work. The work that is on the USB needs to handed in by Tuesday afternoon at the latest. I know it is a big ask but is it possible to recover the work at such short notice? If so, I would be able to drop the USB of at Geldard Road, Leeds when you open at 8am for possible recovery? My external Buffalo harddrive will no longer show up on my computer but I have hundreds of photos on there that I would really like to retrieve if possible. Please can I send it to you to see if anything can be done? My hard drive no longer mounts on both Mac and Window platforms. The cable is relatively new and I tried the different USB ports available to me. It did mount temporarily a few days ago on my windows 10 tablet but its connection sporadically cut out by itself. Now it no longer mounts. It is still receiving power once connected as I can hear and feel the drive whirring. It’s a portable Buffalo type. Hard drive was accidentally formatted and as a result all files are no longer accessible. I tried running a recovery and was able to see the files but unable to recover them as I wasn’t confident of what I was doing and didn’t want to lose the files. Samsung S4 Mini is completely unresponsive, although when connected to a computer the computer does recognise the phone as an “unkown device” with an error message being displayed saying (“one of the USB devices attached to this computer has malfunctioned, and windows does not recognise it”). I would like to make an enquiry to recover my personal data / photo’s directly from the phones memory if this is possible? 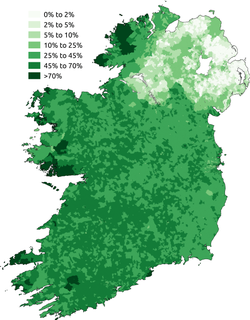 Data recovery services in Ireland are not widespread. UK companies like Data Clinic will provide a decent service, although you’ll have to send your equipment to the UK mainland to have the information retrieved. I am currently living in Ireland. I would like to ask you some questions for fixing my iPhone 5 I can’t turn it back on. There are a lot of precious photos and movies of my family on the phone, and I hadn’t backed them up yet. I really want to recover the data but I don’t know if it’s possible. Would you be so kind as to assist me with my problem? I’ve included the technical detail regarding my iPhone. June 2016; The Apple showed only apple logo, but did not start. I tried to update iOS (Firmware and OS) but I failed to update it. It maybe because of insufficient storage. Japanese data recovering company suggested that there are no hardware defects. The Apple logo sometimes on, sometimes off. I tried to update several types of iOS (iOS 9.3.2-5 and iOS10) again, but I failed to update it. February 2017; The iPhone did not show the Apple logo. 1) Is it possible to repair the iPhone5 and recover the data under these circumstances? 2) If yes, what kind of approaches will you use to do it, and how much does it cost to recover the iPhone? 3) In case you try to fix the iPhone, are there any risks where in to the trouble could worsen such as data destruction? 4) If you cannot fix the iPhone, do you know any companies which may be able to repair it? As this data is very important for my family, I really want to avoid negative impact, such as losing the data. If you have any further questions regarding my email, please don’t hesitate to ask me. Not detecting the external drive – making a click sound continously – anywhere in Northern Ireland (eg Belfast) that can help? I am unable to get to Dublin. I have an external hard drive a Samsung 3m portable 1TB. About two months ago it failed and i sent it away for a data recovery. I know the drive was almost full but the previous data recovery company was only able to recover about 200GB of data. I was given the drive back but my PC still don’t recognise it. After reading your reviews i am wondering if you can recover more. It does have adult material (pics and videos) on the hard drive is something i like to disclose just in case its something you don’t recover. The company said it may had a power surge. I have an iPhone where the camera roll has been wiped (approx 600) photos deleted and then the deleted photos section also cleared. Are you able to recover the photos from my holiday in Ireland? My Samsung Galaxy Ace 3 has stopped working. I’ve tried various things to get access to the data (mainly the photographs) on the phone, including taking it to the Samsung shop in Dublin. They diagnosed it as a hardware fault. I’m due a new phone so I didn’t follow-up with a repair from them as this would have involved losing the data. I’m not worried about what happens to this phone or getting it repaired, just more about the options for getting the data from it. Is this something you could help with? What would the likely cost of this be? I have a sandisk 32gb drive pen, part of the internal plastic assembly has become dislodged back inside the metal casing which means I can’t insert it into a usb port. Would you assist with this and, if so, could you please quote me a price? I have a Mac. Can’t load operating system, but drive still makes noise for the first few seconds of booting, then clicking noise stopps, but platter is still spinning. I have a WD “MyCloud” type external hard drive which is out of warranty and has stopped working. I need the data which is on the drive recovered. Am happy to drop this off at your Lombard Street office (I work nearby). Let me know what I should do. 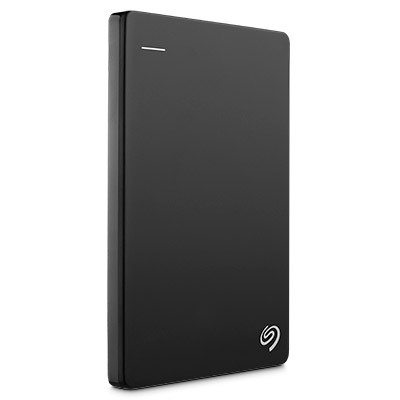 My seagate 1tb external hard drive, I have arrwmpted to plug it in to my laptop and work desktop. The light comes on however it will not show up on the computer. My external hard drive has stopped working I am now unable to access any data on it. 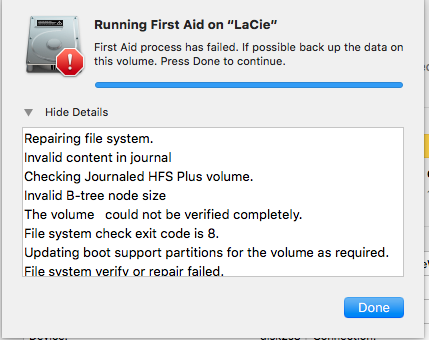 It is a Cajie [ I think they mean LaCie ] hard drive – with mostly photos and videos on it. I have a corrupted hard-drive which has been broken for 3 years. I sent it to a data recovery company and they weren’t able to fix it. However, they offered a physical action and I didn’t accept. I live in London and I can bring the drive over. My USB was connected to my laptop, and I accidentally knocked it off the sofa, breaking my USB. The tip is now detached from the rest of the drive, but the green part (don’t know the lingo, sorry) looks fine. All my university coursework is on there and I desperately need my files back. 🙁 Is there anyway you could fix it? What advice do you tell someone whose hard drive is not working or is no longer recognised? My advice would be to get them to contact a data recovery company. Which data recovery company? Well my advice would be to read this blog as I do make several suggestions. Below are some questions I’ve received about data recovery. I have an OCZ Vertex 2 that’s been working fine for 6 years (Win 10 connected to desktop with Gigabyte mobo). Having properly powered down my PC yesterday, upon booting this morning the SSD is not identified during BIOS loading. I tried resetting CMOS; cycling the drive with power cable only; etc. but to no avail. Green led on the drive is lit solid (not red). I saw your note re Vertex 2 – has any solution been identified since then? Is it possible to move the memory chips onto another circuit board? I’d hate to lose years of precious data. I have a Seagate ST1500DM003 external HDD, and doesn’t work. Maybe it burned the engine. I have a many more photos on this HDD. Can you help me recover the data? Drive was working fine yesterday. no bumps or knocks to it. no damage. drive cannot now be seen by laptop os. sometimes seems to be working properly then not. no os on this drive as being used as a slave unit..
WD HDD drive fails to boot. Had it removed and replaced, need the data from it. Is no longer starting up. I need to recover my files and save them elsewhere. I was hoping I could have a WD Elements external hard drive (WDBU6Y0020BBK-01) assessed to see if any data could be recovered from it. It stopped working a couple of years ago and it has taken me a while to get round to sorting it out. If I recall correctly the drive would not power up when plugged in but it did not appear on my computer. It may possibly have been an issue with the port on the drive being slightly loose. As it is usb powered it would often disconnect and reconnect it quick succession as a result. I am obviously no expert but I have been told it could potentially be a corruption issue caused over time by the cable being physically loose. Would it be possible to have this looked at and what would be cost of assessment and the likely cost of repair (if it is repairable)? WD Hard drive makes a clicking noise and not recognised by Windows. Have had this problem for the last couple of years. Was on the verge of giving up but today, file explorer opened for 5 seconds showing the contents of the drive. Are you able to help recover the data? We’ve seen a lot of HDD enquiries this month from people wish to retrieve their data from their dead devices. See what you think ! 1TB SATA 64Mb Cache pc Internal drive. IT was dropped from table height and now doesnt boot up/ read. Its about half full. Can you please give me a quote to recover the information and transfer it to a replacement drive which I will provide. User claims drive knocked off table but did not hit the floor as it was attached by USB . Drive now clicks several times then goes quite. Drive not detected by pic. Stopped working and has disk clicking. Can power up and FreeAgent shows up on Mac OS via the devices windows pane. Device has not been dropped. I have a smartphone Samsung s6 edge which has just gone dead, does not charge or turn on and is unresponsive. I cannot get the phone to work at all. I relied on my phone for work purposes so have lost data and schedules and photos, contacts, apps etc. Are u able to help with this matter? USB is not being recognised in laptop, it hasn’t got any physical damage. Nothing comes up when plugged in, tried multiple laptops. I can access and browse it but can’t copy it as its very slow and then it stops itself. Can you help me? if yes what sort of costs are we looking at? My desktop HDD has not been used for 3 years and now it goes wrong. It has SuSE 12.3 on it with ext4 filesystem without journals as long as I remember. Windows does not see the device. The BIOS of my laptop is recognizing it. When I try to mount it from another Linux it says “superblock fail to load…“. “Want me to fall back to /dev/disk/by-id/ata-ST31000340NS_9QJ5ZYKO-part3? and it goes in bootloop. the computer do not recognize my hard drive. the light of the hard drive turns green but i could not see the drive on my pc. USB drive no longer working with an “IO error.” Computer doesn’t seem to be able to access the device. The computer is also unable to read the capacity of the device. I’m a teacher so a response via email or via phone after 3.30pm is the best way to contact. Device is a Kingston DTSE9 8GB USB. This post is all about the topic of data recovery. Data recovery is what we need when our electronic devices become inaccessible and we need to retrieve the data that is on them. Data recovery usually involves the repair of the device (e.g.. hard drive or phone), before the data is recovered from it. Toshiba usb portable hard drive. the socket has broken off the small mother board and fallen in to the casing. The hardrive itself should be functioning.if you connect to it directly. We need to remove the data from it. I have a Samsung Galaxy S7 and factory reset has been done on it. I would like to recover the photos from the phone. I would like to access the data and photos from two of my old laptops that have been broken a few years. Could you advise how much it’s likely to cost. I have a Fujitsu M2681SAM 264mb 3.5, 50 pin SCSI LP Hard Drive out of a piece of outputting equipment for the printing industry. I can’t get the imagesetter to load the info off the H/drive and not sure if it’s the CPU board or the H/drive. I was looking to have the H/Drive tested, and the information transferred to another H/drive of which I could locate and supply if needed. I am based in North Birmingham. What help can you offer and what sort of costs would be involved. If you could contact me with any information that would be appreciated. i used this guide to help. i had important University documents on the desktop. i hope to recover. please do not call me if your services are costing over £400 like other competitors.